Frogs all around the world are on the menu for most freshwater game fish species. Our Killer Frog imitation baits are now proven on 5 continents. 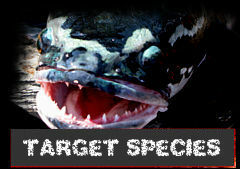 No matter what fish species you are targeting many have the same kind of diet and attack mechanisms. A strike can be triggered at any time from splashdown right up to the boat or close to the bank beneath your feet. Under the right circumstances if an angler can perceive where a fish is possibly holding up then an accurate cast can bring awesome results. We really want everyone to enjoy every minute of fishing with Killer Frog Lures, so below are some tips and tactics on how to get the best out of your time on the water. 1. Buzz-Bait or Frog Bait? Depending on the situation all Killer Frog Lures can be fished with or without a buzz blade attachment. Most models come with the buzzer as standard, check our Killer Frog products page for details and specifications on all lures models. Using Killer Frogs with a buzzer blade attached really adds another dimension of attraction to the lure. The loud clacking , churning vibrations spread out over a wider area and can drive hunting fish crazy into frenzied attacks. However the weedless ability of the lure is reduced once the buzzer is attached so reaching tight snagged spots and retrieving through thick weed can be more difficult. Fishing with Killer Frog Lures as standard (No Buzzblade attached) is more subtle. The same accurate casts are needed but without the buzz blade the frog is almost totally weedless. The body shapes help to skip past most snags and pulling through grass and weeds is no problem thanks to the WeedGuard. You won’t find yourself clearing the hooks every time. Just cast all day long with confidence. Start the lure popping and chugging in the water with the cranking action of the reel and only slight movement of the rod tip. The lures design creates its own action on the waters surface. Keep the rod down and aim the rod tip straight at the lure. On contact take slight pause and be sure that the fish has taken the lure before striking. Over erratic movements of the lure can lead to missed strikes when the lure is pulled out of the fishes strike zone at the last second. Use different speeds and styles of retrieve mixing rod movement and reel cranking action to create natural looking movements. Be confident to do whatever feels natural. The more time your lure is on topwater the more chance of a take. Knowing in advance if fish are present is helpful and can save some time, but its not always the case. If fish are showing then a good technique is to past on past their position and retrieve back at your chosen speed. Casting to the top of a thick weed bed or Lilly pad, wait a second for the water to settle and drop into your run with a twitch of the rod tip. If fish are not obviously active then use a search method by casting over a wide area, in and around logs, rocks, overhangs or other spots where fish hold up lying in wait for passing prey. If fishing the shore margins from a boat cast the lure on to the bank or into weeds where possible, pause and drop into the water and start cranking immediately. Remember frogs are usually found around weeds and the shallower areas, this is where they breed and spawn. Spending most of their time hunting for insects which live in the same environment. When casting from shore TAKE CARE to stand a few meters back from the waters edge, try and keep your presence to an absolute minimum. Many times there will be fish waiting in the margins ready to erupt on a passing Killer Frog. Ambush predators like to hang around weed and snags where sometimes its difficult to position a conventional diving lure or a popper with treble hooks exposed ready to snag. With Killer Frog Lures you can hit the sweet spots with confidence thanks to the custom WeedGuard and Double weedless hook. If a wayward cast from boat to shore or across a river lands in vegetation or trees, just pause, there are only two hooks exposed and they are protected to a degree by the custom WeedGuard, 9 times out of 10 the lure will easily drop out if left to settle. Avoid suddenly jerking back the rod if you think the lure is on a dangerous flight path, more often that not this leads to being come out from a snag. To help ensure your lure gets returned to you each time we recommend using 20lb-30lb braided line where appropriate. 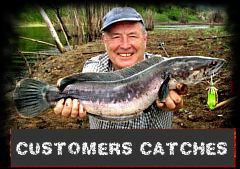 Not only will your control on the lure be more finite but pulling the lure out from snags will be much easier. One of the most asked questions is how fast should I retrieve the lure. There is no definite answer. Different fish on different days will attack different lures at different speeds. 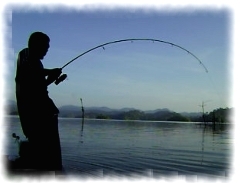 The angler should start by varying the speed based on what looks natural on the water. If the area is small and water calm then a loud fast action may spook fish or just be too quick for them if they are lazing in wait, on the other hand if there is a big momma snakehead protecting its nest and your Killer Frog lands on top no matter the speed the lure will be hit. All Killer Frog Lures can work fast and slow. Its important to think about what the target species is and the size of the lure. Create natural movements and fish lines past as many possible hidey holes as possible. NOTE – avoid too erratic movements with the rod tip, the lures are designed to create their own natural actions in the water so only careful movement of the rod tip is required. Choosing lure colours and patterns can be difficult when they all look inviting. Its impossible to say what is the best colour as with retrieval speed anything goes on any particular day. The oldest most beat up frog in the box will get a hit if its worked in the water correctly. Its best to consider the environment, natural colours are always a good starting point, choose what most resembles the fishes prey. All Killer Frog patterns are proven to catch, many based on natural species. 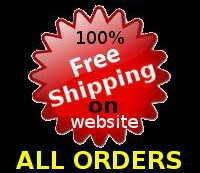 See Killer Frog Lures patterns gallery index for photos of almost all our patterns since 2006. Killer Frog Lures can be used with both baitcasting reel and spinning reel. The cranking action on a baitcaster can sometimes help to generate the frogs popping and spluttering motion but nothing that can not be re-created with a spinning setup. It could be said that longer casts can be made using a baitcaster and certainly they are designed these days for ease of use and many people prefer them. If you never use a baitcasting reel and plan to do so then the time to learn is not on your expensive guided fishing day or on a special fishing trip. Backlashes and line tangles can be frequent and time spent untangling is time missed with lure on topwater. The key is being comfortable with your tackle setup, the fish really don’t care if your reel is the latest Shimano. Constantly changing setup, lines, leaders and rigs is time consuming unless you are an octopus. Time is precious so make your time on the water count, be confident! 7. Leader or No Leader? Safest method is to always use a leader of some sort. Shock leader will help especially if the fish takes you to a snag. Wire leader and traces if too heavy or not flexible enough can really effect the frogs action in the water. 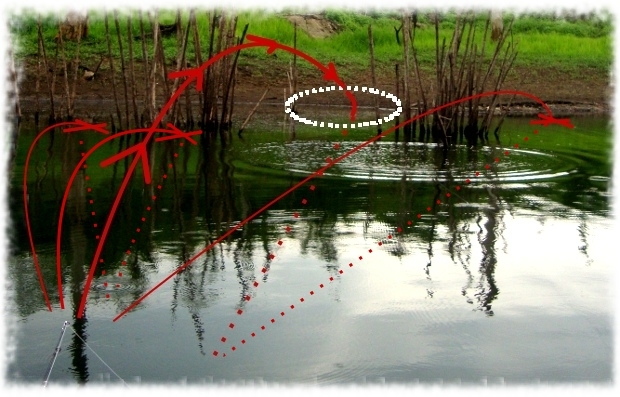 This effect applies mostly to fishing as a frog bait where popping action is needed rather than buzz bait where the retrieve is straight and constant. Recommended leader for fishing Killer Frog lure without the buzzer blade would be 30lb + mono tied with loop to the frog to allow more motion. If fishing with heavier braid its possible to tie straight to a safety link clipped to the lure. This method is preferred for fishing as a buzzbait. Take care if targeting species with species which may take the whole frog, if this is the case a leader is always recommended for fish safety and keeping from loosing your Killer Frog Lure. Lures have hooks, hooks are sharp, anglers cast lures at high speed, hooks traveling at high speed are obviously dangerous. Always be aware of people around you when casting any lures. Many great fishing days have been ended early by trips to hospital to have lures removed from various parts of the anatomy. If you are fishing with other anglers always be aware of your surroundings and what they are doing. Sunglasses are a simple and effective defense for one of the most exposed and valuable parts of you, plus if they are polarized your angling experience will be highly enhanced by clear water viewing.